FAIRFAX, Va. – The National Rifle Association proudly announces Cordova as the official licensed cooler and preferred vendor of the NRA. The Idaho-based company with the slogan “2A Is In Our DNA” offers high-performance coolers that are made in the U.S. and built for the real-world functionality that NRA Members expect in their outdoors products and lifestyles. Cordova’s combination of innovative features with the highest possible material and production standards have raised the bar in cooler performance and customer expectations. With a lifetime warranty, higher cooling efficiencies, lighter weight and other industry-leading features, Cordova’s coolers are reasonably priced and designed to meet every need—from grab-and-go soft-side coolers and rotomolded hard-side coolers to chest coolers, cooler backpacks and tumblers. To learn more about Cordova coolers, visit www.cordovaoutdoors.com. Established in 1871, the National Rifle Association is America’s oldest civil rights and sportsmen’s group. 5.5 million Members strong, NRA continues its mission to uphold Second Amendment rights and is the leader in firearm education and training for law-abiding gun owners, law enforcement and the military. Visit http://www.nra.org. Make Plans to Join Us! My brother Steve and I have been performing live shotgun exhibitions at outdoor events for 10 years now. Complimentary to the live shows we create fun and entertaining YouTube and social content for brands within the Outdoor Industry. Our focus is shooting, hunting, and living life with a purpose. Tourism marketing professional serving in a management position for more than 25 years. Directing a new, regional marketing organization which utilizes the outdoor recreation (hunting/fishing and non-consumptive) in a 23 county region of Alabama as an economic development tool. Have received numerous state and regional awards and recognition. Award winning Writer - Producer - Videographer - Editor with a focus on the tactical, gun & outdoor industry. Winner of the 2016 & 2017 POMA Pinnacle Awards for Broadcast. Past chairman of the Explorers Club and Past-President of the Los Angeles Adventurers Club, "from Concept to Creation, Production – Post Production – Social Media to Virtual Reality", when results matter, call us! Small business owner, consultant & lecturer, Labrador retriever breeder, freelance outdoors writer, field editor Universal Hunter magazine, content writer Webyshops.com. Former pharmaceutical industry sales manager, consultant, tech writer & publisher. Former milking barn sanitation engineer & grunt, family owned Arrowhead Dairy Farm. Brandon Butler is the Executive Director of the Conservation Federation of Missouri. He is the editor of Missouri Wildlife magazine. His syndicated column, Driftwood Outdoors, appears in 15 Missouri and Indiana newspapers and numerous regional magazines. Brandon also freelances articles to magazines and is a frequent seminar speaker. Freelance writer/photographer - waterfowl, big game, upland, shooting, fishing. Available for assignment. I work full time as the outdoors editor of the Tribune-Review newspaper and everybodyadventures.com, both based near Pittsburgh. I am a 25-year veteran of the newspaper business and have written for regional and national magazines, along with having written six books, ranging from deer management to guidebooks. B. Gil Horman is a professional writer with a degree in Technical Communications. He is currently developing freelance product reviews, technical web content, and print articles for clients including NRA e-Media & Publications, InterMedia Outdoors, Harris Publications, and Gun Digest Magazine. Fifteen years experience in the field of wildlife management working for various state, private and non-profit organizations. I am currently the Communications manager for the Quality Deer Management Association, with a focus on producing content for and managing their website and social media accounts, as well as assisting in the layout and editing of their magazine, Quality Whitetails. I also freelance write for various state and national hunting websites and publications. Bill is a full-time outdoor writer/photographer whose works have appeared in every major outdoor magazine in North America. He is a former archery columnist for Bowhunting World & Whitetail Strategies and now edits several online magazines. Brian Johnson is the co founder and CEO of Ammoland.com As an experienced digital inbound marketer I specialize in organic search campaigns coupling keyword research with targeted content development. I work on the daily operations of Ammoland while driving new marketing initiatives through social media and strategic publishing. A four year industry professional with the know-how and experience to help make ideas come to fruition and drive business goals. Full-time freelance photographer and writer. Freelance credits include most hook and bullet and nature publications. Experienced hunting, shooting, fishing, camping, cooking, woods craft content creator. Extensive credits in print, digital, social media, video, and television. Book author. Formerly - Executive Editor 50Campfires.com, Primer 180 Agency; V.P. Media Dev. & Prod. at North American Media Group. Bob enjoys bringing the outdoors and the best it has to offer to over 500,000 Nielson Rated viewers each week - 52 weeks of the year featuring Fishing and Hunting destinations with real life people around the country. The program highlights guides, outfitters and products on the front lines of the outdoor world in every corner of the US. Bruce Ingram has sold over 2,300 articles and over 2,500 photos to magazines. Bruce has written books on the James, New, Potomac, Shenandoah and Rappahannock rivers and FLY AND SPIN FISHING FOR RIVER SMALLMOUTHS. His sixth book is LIVING THE LOCAVORE LIFESTYLE, and he has recently sold his first fiction novel, Ninth Grade Blues. Ingram is a staff writer for Whitetail Times and cooking columnist for WHITETAIL TIMES and QDMA.com, and Outdoor America field editor. Buck Robinson is an accomplished entrepreneur and marketing professional with almost 30 years of experience launching successful marketing companies. During his career, Mr. Robinson has been directly responsible for generating hundreds-of-millions in attributable revenue for a wide variety of different direct-to-consumer clients. Mr. Robinson specializes in the creative aspects of media campaigns, including writing commercials, direction, and production, as well putting together the most efficient and effective marketing strategy to meet the client's KPIs. I've been a musician for over 30 years and have been doing it professionally since 2008. I hosted and produced a TV show called "Livin' Free Outdoors" that aired on the Pursuit channel and currently produce and host a web series called "Californeck on the Loose". I'm a member of BMI (the music organization) and serve on the advisory board of the American Mining Rights Association. I'm also a professional gold miner (true) so if you see me, ask me about it. I am a professional saltwater angler and charter fishing guide in Orange Beach, Al. I promote conservation and have been recognized as the "next generation of charter fishing guides." I am a 1986 graduate of the University of Alabama School of Journalism and Public Relations. I write about saltwater fishing. Renowned angler and guide ‘Big Boy’ Carter Andrews is plagued by a single obsession: fishing. He is the host of The Obsession of Carter Andrews, a fishing show that airs on the Outdoor Channel. During the past 25 years in the industry Carter has immersed himself in all disciplines of fishing, both salt and fresh, fly and conventional. He is arguably one of the best complete anglers known today. He has worked internationally developing fishing lodges, putting them on the map. He has competed in multiple national and international tournaments, from trout to marlin. Carter has led expeditions with friends and clients to 15 different countries. He has written for multiple magazine publications and has been on the cover of nearly every saltwater and fly fishing magazine in print. He has a wife and two daughters, who, by his side, enjoy the adventurous life. Published weekly in the DuBois Courier-Express, DuBois PA, and the Bradford Era, Bradford, PA. Published in state, regional and national publications. Weekly Outdoor Radio program aired on CONNECTFM Talk Radio. Past President & Life Member of PA Outdoor Writers Association, active member: Mason Dixon Outdoor Writers Association, and OWAA. Chad Schearer is editor of Blackpowder Guns and Hunting Manazine. He is a freelance writer, national lecturer and television personality. Chad and his wife Marsha also own and operate Central Montana Outfitters, a full service guiding operation. Media Relations Consultant with Tourism Saskatchewan. Work with all types of travel media to help them discover Saskatchewan by providing support for their trips to and within the province. Former editor, Marlin magazine; Founding editor, Billfishing magazine; Contributor to Power & Motoryacht, MotorBoating, Tide, Garden & Gun, ESPN Outdoors Saltwater, Florida Sportsman, Guy Harvey Magazine, and numerous billfish tournament web sites. Field Editor, Salt Water Sportsman. Book author and editor. I have had commercial photography appear in 26 national publications. I began writing for the outdoor market in 1985 and produced the world's first traditional shooting sports magazine on the internet... This was long before there were any .COMs. Most of the readers were military and scientists. David Cabela is the author of three books: Cabela's World's Foremeost Outfitter, Two Hearts One Passion, and Two Hearts in Tanzania, as well as co-authour of Beast: The Collected Works of John Banovich. He lives in Nebraska with his wife, Shari, and their three children. As a member of the Cole Publishing/Grand View Outdoors team, Choate is the editor of Bowhunting World, Whitetail Journal and Archery business. Additionally, he was the Founding Partner of Western Whitetail.  Choate is a voting member of the Professional Outdoor Media Association (POMA) and advocates for and supports several conservation and hunters rights organizations. Although he lives in elk and Coues country, he enjoys hunting across the country and writing about his experiences. His articles have been published online and featured in magazines such as Whitetail Journal, Bowhunting World, Western Whitetail, Western Hunter, Quality Whitetails, Cabela’s Outfitter Journal, Fur-Fish-Game, and Rocky Mountain Game & Fish Magazine. With 34 yrs experience in photography, broadcast & video, David is a professional videographer/producer/director in network affiliate TV and corporate/commercial video production. Satisfied clients include Cessna Aircraft, The Coleman Company, Beech Aircraft, Boeing, Spirit AeroSystems, Via Christi Medical, Koch Industries & many others. Dave Kopel is Research Director of the Independence Institute, a think tank in Golden, Colorado, which is founded on the principles of the Declaration of Independence. At the Independence Institute, Kopel also heads the Institute's Second Amendment Project, the only research center at U.S. think tank which is dedicated to firearms law and policy issues. Additionally, Kopel is an adjunct scholar at the Cato Institute, and an adjunct professor of constitutional law at the University of Denver, Sturm College of Law. Freelance outdoor copywriter providing services to the hunting & shooting retail industry. Services include guest blogs and social media content writing. Sporting Classics Daily contributor. Previously published in Pointing Dog Journal, Upland Almanac, and Wildlife in NC. Weekly outdoor columnist for the Madison County, NC News-Record & Sentinel. I've been writing in the outdoor press for about 15 years with a newspaper column and contributions to national, state and regional magazines, and have spoken at more than 150 sportsman's banquets. I'm a member of the Pennsylvania Outdoor Writers Association (and serve as its Secretary), as well as the Mason-Dixon Outdoor Writers Association. I've been honored to win the Pinnacle Award in 2015 and 2018. President, Target Communications. Editor/Publisher -- 'On Target' series of outdoor books. Incidental freelance writing. Founder/Content Director of five deer & turkey hunting expos (MI, OH, IL, KY, WI). BA English/Creative writing, Kansas State U 1970. Professional (i.e. paid) outdoor writer 1983-present. Approximately 3,000 magazine credits and 6,000 newspaper credits. Weekly outdoor newspaper column 1984-present. Member OWAA 1986-2004. Member SEOPA 2000-2009. Jackie Holbrook is a freelance writer based in Cascade, Montana. She routinely writes articles for the Archery Trade Association's bowhunting360.com, archery360.com and ArcheryTrade.org websites. She's also written outdoor articles for the Anchorage Daily News. During her six years as a television news reporter in Missoula, Montana and Anchorage, Alaska, her focus was on hunting, fishing and outdoor news. I am currently Director of Communications for Ducks Unlimited and have served as Editor of the Journal of the American Chestnut Foundation, as a columnist for Turkey Country magazine, as a comm. specialist for Cabela's and a communications manager for the NWTF in addition to writing freelance articles for a variety of other publications and Web sites. I have also served as a POMA board member and am the current President of POMA. Innovative early adopter & strategic marketer focused on consumer engagement and conversions. Specializes in Strategy and Growth across the Internet leveraging Digital (paid/earned/organic), Big Data, Content, Analytics and Emerging Opportunities. 23-year digital marketing specialist with a proven track record implementing multi-channel digital marketing campaigns that drive new opportunities, audience engagement and ROI. Concept-to-completion knowledge of ideation, strategy, development, distribution and measurement. Practice and management skills include P&L, Ops, Strategy, Search, Social, Display, Big Data, Database/eMail/CRM marketing, Content marketing, Retargeting (Search/Site/Social/CRM), Digital Promotions, Gamification, and Mobile to drive engagement and revenue from all screens. Executes data-driven decisions in an ever-changing, technological environment. Huge crush on AI, IOT, Blockchain, AR/VR, etc. Full-time writer and photographer for 25 years. Former hunting editor for Heartland USA (10 years). Currently Field Editor for Whitetails Unlimited and Pro-Staff member with OEI Properties Inc. Specialize in hunting, fishing, and adventure travel. Josh Claflin, President at Garrison Everest and StoryBrand Certified Guide, helps companies in the outdoor, hunting, firearms and defense industry who are struggling to stand out in the crowded marketplace and attract new customers. John has an undergraduate degree in journalism and professional experience in daily newspaper reporting, editing and publishing, subscription-based magazine publishing (both established and start-up), natural resource PR & communications in the federal sector, freelance writing and photography, and corporate communications for start-up entities. Jenifer Wisniewski is the Chief of Communications and Outreach for the Tennessee Wildlife Resources Agency. Her marketing successes for state wildlife agencies have been proven to increase license revenue and retain customers. While working for the Georgia Department of Natural Resources she was able to increase license revenue overall by over 25% in 5 years as well as reducing customer churn by 10%. She has a passion for sharing best practices among states and a drive for accomplishing R3 (recruitment, retention, and reactivation of hunters and anglers) through marketing. Her success has garnered much attention nationwide and efforts have been featured by organizations like the Association for Conservation Information, the Council to Advance the Hunting and Shooting Sports, Recreational Boating and Fishing Foundation, Archery Trade Association, National Shooting Sports Foundation, Wildlife Management Institute, Association of Wildlife Agencies and others. "McGlothlin is as much a journalist as an angler, creating a visual with words and images like a modern-day lady Hemingway." - Outdoor Hub Jess McGlothlin sees her mission as a simple one: tell stories. Working as a freelance photographer and writer in the outdoor industry, while on assignment in the past few years she’s learned how to throw spears at coconuts in French Polynesia, dodge saltwater crocodiles in Cuba, stand-up paddleboard down Peruvian Amazon tributaries and eat all manner of unidentifiable food. She is a passionate writer and photographer who brings a unique, energetic perspective and approach to her work. Her written word is bright, bold, and honest. She’s worked with some of the largest brands in the outdoor sector, in roles ranging from staff copywriter to annual campaign photographer to marketing consultant. Subject coverage ranges from Western rodeos to fly fishing far above the Arctic Circle in Russia. She has proven competence covering everything from international advertising campaigns to multi-day survival training sessions in remote, challenging environments to exploratory fishing trips. Her work has been featured in gallery shows from Germany to Israel, and she has received international awards / recognition for both her writing and photography. Jess is available for contract, editorial, and assignment work, and is currently based in Missoula, Montana, USA. My career in the outdoor industry started in November 2015 as a PR Specialist for Chevalier Advertising where I served their client, Nikon Sport Optics, with their public relations and marketing strategies. From there, I accepted a position with Mossy Oak. I currently serve as their Public Relations Manager. In this position, I am consistently contribute written and video content for www.mossyoak.com. I generate numerous press releases in addition to writing for various projects we complete throughout the year. I also serve as an on-camera personality for various shows our team produces. I also shoot photos and video for a different content variety when I am on hunting trips. Professional writer, dog trainer and hunting guide. Self-syndicated newspaper column appeared in Suncoast Media Group publications (FL). Other credits: Sports Afield, Sporting Classics, and Field Trial Magazine. Currently, Jeff is serving in Africa as a civilian military advisor. Jodi has a degree in wildlife management from Rutgers University. She has worked for a state fish and wildlife agency, the National Wildlife Federation, and the Congressional Sportsmen's Foundation. Since 2005, she has worked as a consultant focused on conservation policy and communications work for a wide range of organizations as well as freelance outdoor writing. Weekly column in Webb Weekly newspaper. Freelance magazine credits include: Pennsylvania Game News, Pennsylvania Outdoor Times, Turkey Country and Farming for Wildlife. Shotgunning columnist for Sports Afield and Delta Waterfowl, Contributing Editor for NRA Publications, regular contributor to Wildfowl, American Rifleman, American Hunter, Shooting Illustrated. Book author: The Shotgun Encyclopedia and Shotshells & Ballistics (Safari Press). Judy is a Photo Journalist and freelance writes for several publications; such as, Traditoinal Bowhunter Magazine, Trad Archer World Magazine etc. She is currently writing a book about female hunters. She is a member of NSSF, NWTF, POMA and more outdoor organizations. Being a seasoned hunter for over 30 years she has years of hunting adventures to share. Judy also is a public speaker. Focused on providing value and enhancing relationships with everyone I come in contact with. Those vary but my main focus is content creation in photography, video, editing, and podcasting. Building The HPG Brand for over 4 years as of today and growing. Based in Edmonton, Outdoor Canada's longtime hunting editor Ken Bailey has hunted every major Canadian game animal, in every corner of the country. For many years, he’s shared his deep knowledge of game behaviour, and wide expertise with all manner of firearms with OC's readers. His work has been recognized numerous times by both the Outdoor Writers of Canada and the National Magazine Awards. Ken is a committed conservationist, dedicated to habitat preservation, sustainable harvests, and passing along our hunting heritage to the next generation. He's also an avid fly fisherman, and a pretty darn good game chef. Author: "Gordon MacQuarrie:The Story of an Old Duck Hunter"and "Wildlife in the Badlands". Contributing author: "A Passion for Grouse". Photo and/or writing credits in American Hunter, Sporting Classics, Ducks Unlimited, Bugle, Peterson's Hunting, Wisconsin Sportsman, Wisconsin Outdoor Journal, Wall Street Journal, London Time, Paris Match, et al. Outdoors columnist, Fredericksburg Free Lance-Star (Virginia) daily newspaper since 1997. Conservation Field Editor for NWTF and Turkey Country magazine since 2015. Served as contract outdoors journalist/photographer for Army Times Publishing Co., and www.militarytimes.com for 21 years, and wild game cooking columnist and regular contributor, Virginia Wildlife magazine for 10 years. Ken's freelance work has appeared in more than a dozen other magazines, including USA Today's Hunt & Fish, Recoil, Outdoor Life, Turkey & Turkey Hunting, Whitetail Times, and more over the last 25 years. Media relations support and copywriter for Traditions Media. My career in outdoor communications industry started in the early 2000’s as I was the Art Director for Cabela in fishing division in Sidney Nebraska. It was there that I feel in love with this outdoor industry. My craft was honed in these years by being surrounded by experts in many different areas of the outdoor world. I learned how to communicate in design and photography to the mindset of an outdoor enthusiast as well as an outdoor novice. From there I continued in the outdoor industry as and Art Director for Park Tool which makes the tools for the bicycle world in White Bear Minnesota. The whole time I have had full-time careers in the outdoor world I continued to freelance for many different companies in the industry. Everything from design books, shooting photos, creating Brands, building packaging. One of the books I designed and shot the photos for was written by Michael Martin. We built Minnesota Permit to Carry a Firearm book and then Gander Mountain adopted the book as part of their firearms instruction as well as the USCCA. Which is now called Concealed Carry and Home Defense Fundamentals. This project is what had lead me working for the USCCA as the Creative Director and Lead photographer for Concealed Carry Magazine as my current job. I have also over the recent years had the privilege of rebranding Smith and Wesson’s holding company into American Outdoor Brand Company as well as rebranding ATK to Vista Outdoor. And many more projects. Whether running down to Mexico for largemouth bass or heading up to British Columbia for an elk hunt, Jarnagin is constantly searching for the next outdoor adventure. Jarnagin got his initial introduction into the outdoors with Steve Scott then moved to Blue Heron Communications. Currently, Jarnagin is the Content Manager for Gun Talk Media. He's tasked with elevating GTM's content and exploring new outlets for consumers to enjoy GTM's many offerings. Executive producer, show host and general manager of Rocky Mountain Television Network (RMTV). All original outdoor programming, 24-7, throughout Central Colorado. Also show host, videographer, and voice over talent. A POMA Cornerstone member, I've spent 25 years in the editorial and marketing arena in support of NRA programs and services, NRA's Institute for Legislative Action (NRA-ILA), the promotion of hunting and shooting sports as a mainstream American lifestyle, wildlife conservation, and the role of hunters as America's first conservationists. Award-Winning outdoor writer, photographer, videographer, public speaker, graphic . Host of Global Oufitters TV Show's GO Tips. One-stop content shop for all multimedia needs. Director of Outdoor Clients at The Media Group, Inc. - A PR agency with a proven track record! Let us build your brand! Ps. 138:3 "When I called, He answered me." Raised a Minnesota farm-girl in a sporting family, Krissie Mason is a writer, photographer, editor, outdoorswoman, and wild game food enthusiast. She is a regular contributor to a variety of outdoor lifestyle magazines, destination publications, and websites. In addition to other outdoor pursuits, she has recently become addicted to fly-fishing. Krissie fully supports a field-to-fork wild food-chain and enjoys expanding pantries and stretching wild fish & game palates with ambitious and delicious recipes. Additionally, she is the Editor and Design Creative of Horizons Magazine: a bi-monthly publication of the Association of Great Lakes Outdoor Writers. Recently, Krissie has been shooting historic, large format wet plate photography replicating the photographic science used to document the Alaskan Harriman Expedition and portraits of the likes of John Muir, George Bird Grinnell, Gifford Pinchot, and Cornelia "Fly-Rod" Crosby. As the Director of Marketing for TxAT, I oversee all marketing functions for the Aguila Ammunition and Texas Armament & Technology brands. Prior to joining TxAT in July 2015, I was the Director of Marketing for Aimpoint, Inc. for six years. I'm also an avid hunter and shooter. Creative Director Mossy Oak Productions; supervise post production staff, quality control on company's television/video products, writes voice over copy; online editor on Avid platform. Consulting Editor for Mossy Oak's Hunting the Country Magazine, directing content and writing some departments; other occasional freelance magazine work. Marketing/public relations exec proficient at media relations (domestically & internationally), promotional campaigns, contract negotiations. Adept at developing marketing tactics & fostering strategic relationships to increase market share supporting revenue goals. Flair for establishing exceptional rapport with internal & external customers. Editor of coloradooutdoors.net. Regional Representative for the National Wildlife Federation. Past producer for Orion Multimedia. Launched 'The Federal Experience' and 'The Bucks of Tecomate with Jeff Foxworthy.' Produced the third season of TRCP's 'Life in the Open.' Past Editor of Western Outdoors Magazine. Managing editor of Sporting Classics magazine. Freelance writer/photographer for 15 years, as well as an advertising agency creative director. “Martha Tansy is an outdoor adventurer from Alaska. She traveled the world wheeling, racing, hunting, wrenching and welding for the better part of her life. Although Martha’s mechanical and improvisational skills are unmatched, her infectiously positive attitude could be her greatest asset. She’s been described as sweet, thoughtful and considerate as well as a badass, tireless leader who has single handedly saved expeditions on many occasions.”-The Lost Frontier “Here's a woman who thinks and operates outside the norms. She takes her home-schooled daughter camping/hunting for weeks at a time in the Alaskan wilderness. They do their own butchering and provide meat to the elderly, single moms, etc. She's also a welder, mechanic, and off-road racer. Yes, this "chick" is the real deal.”-Ron Spomer Outdoors Please find and follow these young ladies on Facebook https://www.facebook.com/marthatansyoffroad/ and on Instagram https://www.instagram.com/marthatansy/ to read amazing articles on hunting & racing from around the world and to find out what gear they use to be successful in such harsh conditions. Feel free to contact Martha & Elli Tansy to talk shop, hunting stories, outdoor gear, racing or life in Alaska...you won't be disappointed as you find that these ladies have an overflowing love for God's green earth and the people in it. Accomplished freelance outdoor writer, publication editor and PR executive. Award-winning experience in publication editing, journalism and photography. Widely published with hundreds of stories in numerous national and regional outdoor publications, with current emphasis on national firearms and hunting publications. Freelance journalist and photographer covering hunting (big to small game and upland birds, plus dog training and care), fly fishing, archery, bird watching, backpacking, canoeing, hiking, stargazing, conservation and other outdoor pursuits around the globe. Available for assignment. Book author and editor. Freelance editor and communications consultant. Member of the Public Relations Society of America. I am an outfitter, guide, hunter, mentor, and instructor. I'm the cohost at the MAC Outdoors podcast, Armed Lutheran Radio contributor, NRA Tips & Tactics host, and guest writer for several publications. Published in: Alpine Gazette, Beretta USA, Game & Fish Magazine, Gear Junkie, Hunting Retailer, Field & Stream, National Shooting Sports Foundation, NBS Outdoors Magazine, North American Hunter, NRA Blog, NRA Family, NRA Insights, NWTF Jakes, Outdoor Channel, Pagosa Sun, RetailmeNot.com, Rocky Mountain Game & Fish Magazine, The Shooting Channel, Western Whitetail Magazine, Women's Outdoor News, guest host on Remington Country Television, and other print and digital media outlets. Jacki Billings is a journalist and editor covering competition and recreation shooting as the Shooting Editor at Guns.com. Previously working as a freelance journalist for a variety of publications to include Concealed Carry Magazine, RECOIL, Shooting Sports USA and ConcealedCarry.com, Jacki brings her journalistic skills to the world of firearms. We work with various outdoor companies and provide those companies with the latest information in the outdoor industry as well as managing and advertising on their facebook pages. Freelance outdoor writer-photographer. Newspaper: Weekly Features in Wilmington, Raleigh, Goldsboro and Tabor City papers. Magazine Columns in NC Game and Fish. Monthly features in NC G&F and NC Sportsman. Published works appear in dozens of magazines. Author of four books, with Fishing North Carolina published Feb, 2011. For over 30 years Streamlight, Inc. has been engineering and designing a constantly evolving line of personal lights, many of which now feature the latest in combination LED/incandescent technology. Streamlight manufactures a variety of high-quality portable lighting products. I am a life long hunter, fisher and shooting enthusiast. I have a BA from Michigan State University (97) and a JD from Wayne State University Law School (2000). After a short stint as an Assistant Prosecuting Attorney I took the plunge and opened a solo law practice in Grand Haven, Michigan (January 2002). That solo practice has grown into a full service law firm (Van Tubergen, Treutler & Hayes, PLLC) and I have developed a niche specialty where I am legal counsel for several of the most popular hunting celebrities in the outdoor television industry and am generally recognized as one of the "the" attorneys to hire in that industry. Through this work I have developed superior knowledge about the logistics and the business of the Outdoor Television Industry. I have also developed a strong working relationships with many of the executives from the television networks as well executives for some of the best sponsors. We know tritium, we know manufacturing, and we’re all about efficiency - all of which has led us to develop a better way to produce tritium gun sights. Our military-grade polymer ring design allows us to consistently deliver a wider variety of superior quality sights and enhanced tritium brightness, all at a lower price than leading competitors. The University of Montevalloâ€™s Presidents Outdoor Scholars Program is committed to educating the next generation on the values of work ethic and conservation to lead the way in protecting our heritage for the benefits of our wildlife, lands and natural resources. Paul Wait is editor of Delta Waterfowl magazine, a membership publication reaching an active, conservation-minded set of waterfowl hunters. Before joining Delta's communications team in 2011, Wait was editor of Wildfowl magazine. He is a past editor for InterMedia Outdoors and F+W Media. Wait has 17 years of professional media experience. I have served as a fishing/hunting magazine editor, freelance writer/photographer, sportsmen's show producer, fishing radio host, gun dog columnist and host/producer of Bird Dogs Afield Internet TV and broadcast TV show. I'm a two-term past president, director and life member of New England Outdoor Writers Association. Winner of over 50 literary awards. Rogers has published more than 1,000 articles and 1,500 photographs. Former President and Chairman of the Board of the South Carolina Outdoor Press Association. He annually writes over 120 articles for magazines, websites and blogs. He conducts dozens of seminars and workshops annually on hunting, fishing and trapping techniques. Outdoor TV host and hunting seminar speaker Phil Phillips has spent three decades as a premier bowhunting guide & outfitter and has taken 40+ big-game species worldwide. He has written numerous hunting articles and serves as a pro-staffer for major companies in the outdoor industry. He has hosted shows on the Outdoor Channel for the past 10 years. The National Wild Turkey Federation is a nonprofit Conservation organization founded in 1973 with a mission dedicated to conserving wild turkeys and preserving hunting traditions. By working with its wildlife agency partners, the NWTF has helped restore wild turkey numbers to nearly 7 million today. Second recipient of the Buckmasters scholarship. Apart of the outdoor scholars program at University of Montevallo. 2017-2018 Outdoor Scholar of the Year. Host of nationally distributed TV shows and podcast. Owner of influential web forum on western hunting topics. Board of Directors of Rocky Mountain Elk Foundation (2013-present). Board of Directors of Orion The Hunters Institute (1995-2008 with five years as Chairman). Northeast field editor -Deer & Deer Hunting mag. Hunting editor - Outdoors mag Contributing writer - Whitetail Institute Nature photographer, Seminar Speaker Author of three titles regarding white-tailed deer. As the director of communication I serve as RMEF spokesman, supervise internal and external communication efforts, write news releases, provide support to RMEF staff, prepare newsletters, supervise the staff of Bugle magazine, report for Bugle and the RMEF blog and lead social media efforts. Previously, I was a TV broadcast journalist for 24 years. I'm the Director of Content & Communications for Brownellls, Inc. - an international e-tailer of firearms, firearm parts, ammunition, gunsmithing tools and reloading supplies. I own Both SeeMeHunt.com the Interactive Social Network for Hunters and American Outdoor News The New digital Magazine that embraces all of the outdoors from fishing and hunting to Shooting Sports and outdoor Adventure. It is a Free quarterly publication so feel free to register. Sellmark Corporation and its employees are committed to bringing the most innovative, highest quality and cost effective products to the ever-changing global marketplace. Sellmarkâ€™s first priority is to provide its customers with the best value in consumer outdoor products by integrating the latest technologies, designs and operational excellence. Former editor, Marlin magazine; Founding editor, Billfishing magazine; Contributor to Power & Motoryacht, MotorBoating, Tide, Garden & Gun, ESPN Outdoors Saltwater, Florida Sportsman, Guy Harvey Magazine, and numerous billfish tournament web sites. Contributing Editor, Salt Water Sportsman. Book author and editor. Matt Soberg is the editor for three upland hunting and conservation-related magazines: Covey Rise magazine, Project Upland magazine, and the Ruffed Grouse Society magazine. He earned his BA from the University of Minnesota, Twin Cities and law degree from the William Mitchell College of Law in St. Paul, Minnesota. Former Editor of SAFARI Magazine and SAFARI TIMES monthly newspaper; Editor of 10th and 11th Edition, CARTRIDGES OF THE WORLD; Editor of GAMEMASTERS of the WORLD by Chris Klineburger; Contributing Editor, GUNS & AMMO Magazine. Advertising Manager for 23 years with FMG Publications. In October 2013, I started Evatt Marketing with the sole purpose of Connecting Content Producers with Outdoor Industry Products for Testing and Evaluation.I especially enjoy discovering innovative products from small companies and getting those into the hands of Content Producers. Started at Realtree in 1994 as a producer/cameraman, I had never been hunting before I started working there under David Blanton. , Monster Bucks, Realtree Outdoors, Jeff Foxworthy's Incomplete Deer Hunter comedy series 1,2&3, Co-Creator & Producer with Michael W of Realtree Road Trips for the first four seasons. I was at Realtree for 11 years. Since then...I was co-Creator and producer/cameraman of Bone Collector for the first 4 years. Today we are producing multiple projects in and out of the outdoor industry. We are scalable and have a mean and lean mentality able to adapt from small projects, outdoor television series to major documentaries. We are always on the creative and technical cutting edge focused on storytelling that entertains, captivates and educates but mostly moves the needle for our clients and our projects. We've been blessed to work with many of the top producers and outdoor personalities in the outdoor hunting industry. I have been involved in the outdoor media industry since 2002 when I was elected to the board of Jim Posewitz' group Orion-The Hunters Institute. I met Randy Newberg while on that board and helped him to conceptualize the "On Your Own Adventures" television show and website and bring it to reality. We are now in our eighth season of production. Established in 1959 with the first ever patented, double reed duck call. Since the inception of the Yentzen Caller, many more products have come to fruition at Sure-Shot Game Calls and now produces over 35 products. Susan has a bachelor's degree in public relations and master's degree in communications. Prior to becoming the public relations manager at the Springfield CVB, she was a reporter at The News-Leader, a Gannett newspaper in Springfield. Tyler has turned a lifelong passion for bass fishing into a career in the outdoor industry. He writes for several leading outdoor publications, his own blog as well as for tournament organizations. In addition to writing, he works as consultant, social media manager and pro staff coordinator for several fishing industry brands. Outdoor Life, Field and Stream, Bugle, Nat Geo, Petersons, Bow Hunting etc. Unique, professional quality western, traditional outdoor sporting images, hunting, conservation, adventure sports, big game/wildlife, hunting stock photography, & western tourism markets. Photography writer, photography Editor @ Western Hunter Magazine. Hired for editorial, advertising, commercial outdoor photography, & public lands/conservation photography assignments around the world. Works on motion picture and film sets regularly. We guarantee content excellence for every client! Producing award-winning images and articles for various publications for 30 years, credits cover numerous venues including magazines, newspapers, books, online publications, calendars, stock agencies, galleries, etc. Field Photographer for the Upland Almanac Magazine and the Ruffed Grouse Society Magazine. My business, Nature Exposure, offers limited editions of fine art photography on canvas and premium papers from a large and varied stock inventory. My library of images for outdoor publication use is beyond what is on the website. Make contact with specific needs or shoot-on-demand projects. Marketing Manager for BPI Outdoors and its family of brands. Which include CVA, Bergara, Quake, PowerBelt Bullets, and Durasight. My professional career began in 1981 with the publication of my first photo on the cover American Hunter. Since then my photos and articles have appeared in magazines, advertising campaigns, product packaging, calendars, the internet and other media. While in the business for 30 years, it's always an honor to have a client select my work. Professional hunter, writer,educator, videographer and seminar speaker dedicated to communicating her passion for the sport of hunting. Tammy is host of the show "Leading Ladies Outdoors" which showcases mother/daughter connection/young hunters and veterans. She is a 35 year "seasoned" big game bowhunter whose love of God and hunting is contagious! Been writing for 16 yrs. Outdoor columns in newspapers in Alaska, Oregon, Idaho, CO, Nev., Ut. and La., RonSpomerOutdoors, Hunt Alaska Mag, Bass Pro Shop and freelances for many other magazines. On Pro-staff for multiple companies and have tested product for hundreds of others. Teach 50+ seminars/year at shows like the SCI Conv., DSC Conv. & Expo and stores like Cabela's, Bass Pro Shop and SWH. Guided hunts for show Kid Outdoors. Retired from a 35 year career in law enforcement, Al now works as an editor, freelance writer, photographer and forensic consultant. He is editor of the Canadian Firearms Journal, writes for print and web markets, is a court qualified expert in firearms, toolmarks and gunshot residue and a voting member of POMA, Outdoor Writers of Canada and AFTE. Host and producer of Outdoor Quest TV; Canada's longest-running hunting television series. Magazine and blog writer. Retired English teacher/Department Chair Kennett High School 1971-2006; Outdoor Columnist for Daily Local News, West Chester, PA, since 1986. Bowhunting Archery Columnist for PA Game News. Freelance writer. Author of novel An Educated Guess. Currently serves as the Convention, Meeting and Events Representative for Visit Central Florida and Central Florida Sports Marketing. Al is also responsible for business development and oversight of marketing and public relations strategies in the outdoor recreation tourism segments including fishing, shooting sports, cycling, hiking, golf and nature/ecotourism. Currently serving as Trapline column editor for Fur-Fish-Game, and Field Editor for The Trapper and Predator Caller magazine. I'm a photographer and filmmaker living in Central Montana. I was first drawn into these amazing forms of digital storytelling because I wanted to be able to share all the amazing things I experienced while out in the wild with my family, friends, and even on my solo adventures. That still hasn't changed to this day. I am passionate about documenting the outdoors to show the world all the amazing things that are right out our back doors. Professional Writer and Editor with six years of digital content publishing experience. Skilled in product photography and social media. Specialization in research, data collection, surveys, and ammunition testing. I am an award winning filmmaker and president of GunStuff TV. You can read about my filmmaking at my personal website http://swainhart.org. For the past 3 years we have been doing product reviews both for American Outdoors TV Show and History of the Gun. In 2016 I won the first place in the Mountain and Adventure Film Festival Environmental Film for my mini-documentary "Monument Valley: Sunrise to Moonrise," the number one YouTube film on Monument Valley. Tony C. Zappia is an award-winning outdoors photographer and writer. His work has graced the pages of an array of magazines including, Field & Stream, Outdoor Life, NRA American Hunter, Shooting Sportsman, Retriever Journal, North American Fisherman, Wildfowl, Gun Dog, Willow Creek Press, Brown Trout Publications, Harris Publications and Game & Fish publications. For nearly 30 years, Zappia served as Outdoors Editor of the Massena Observer, The Advance News and the Watertown Daily Times. In addition, his photographs have appeared in calendars, books and advertising campaigns. Tony currently works as a freelance still photographer/writer, and is a proud member of the Professional Outdoor Media Association (POMA). Born in Northern New York on the Canadian border, Tony spent the majority of his youth exploring the outdoors along the St. Lawrence River and Adirondack Mountains. There he began to acquire his skills of wildlife behavior which became a vital component of wildlife photography and outdoors writing. Tony's love for photography began in the 1960's and since that time he has won numerous national and regional photo awards. In 2014, Tony was awarded the coveted Pinnacle Award for Photography from the Professional Outdoor Media Association for a cover image of a Golden Retriever he photographed for The Retriever Journal Magazine. Tony has traveled extensively; hunting, fishing and photographing throughout the United States and Canada as well as Sweden and Finland. Presently, Tony resides on the banks of the St. Lawrence River with his wife, Barbara, his three Golden Retrievers, Emme, Tea and Ice. These days he spends considerable time at the home of Fourth Coast Golden Retrievers training and field trialing his Goldens. In 2009 Tea won the Golden Retriever Club of America National Specialty Derby and in 2013 she earned her Canadian Field Trial Champion title. His youngest Golden, Ice, is currently back at home competing in American and Canadian Field Trials. And, on August 27, 2016, Ice - at age 3 - placed 2nd in the Lake Champlain Field Trial Qualifying thereby giving her the Qualified All-Age status. I graduated from Fairmont State University in 1994 and started full time at the Times West Virginian soon after. Over the years I have worked with several writers and I have had my work appear in multiple outdoor magazines across the United States. Certified Wildlife Biologist. Retired after 39 years. Past positions included Hunter Ed Instructor, District Biologist, WMA Manager, Regional Biologist, and Refuge Manager with Kentucky Department of Fish and Wildlife, Texas Parks and Wildlife, Quail Unlimited, U.S. Fish and Wildlife Service. Full time freelance writer/photographer since 2014 with credits in Gamekeepers, Buckmasters, Realtree, Game and Fish Publications, Southern Traditions Outdoors, Midsouth Hunting and Fishing News. President of Tennessee Outdoor Writers Association and currently on Board of Directors for SEOPA. Founding editor Combat Handguns and other Hunting and Gun Harris publications. Co-founder The Hunting Report Newsletter. Articles in Outdoor Life, Field & Stream, Sports Afield (contributing editor for approximately 5 years), occasional contributor The Shooting Sportsman, Garden and Gun, Covey Rise. Founding Pres. SCI Tri-State Chapter. World record holder 6 pounds tippet coho salmon, author of the couple of hundred articles on both sides of the Atlantic, book author: The Complete Guide to Wingshooting, The World's Best Shoots, to be released soon: Shooter's Bible Guide to Shotgunning. USSCA Level III Certified Instructor. Marketer, Editor, Photographer, and Writer. I have been an outdoorsman and clay target shooter for decades. In 2015 I joined the USA High School Clay Target League and have been a part of its expansion from 3 states to over 20 states. Lowell is passionate about hunting, fishing and wildlife conservation. An award-winning freelance writer and photographer, his favorite topics are firearms, gundogs, outdoor gear and cooking. He instructs hunter education and firearms safety courses. He's available for freelance opportunities. I have worked for the NWTF for the past three years. I began as a part-time photographer and archivist. I was promoted to staff writer in November 2016. In November 2017, I was promoted to Associate Editor. Prior to the NWTF, I have worked as a professional newborn photographer and was employed in the newspaper industry for nearly 10 years as a staff writer in the beginning and finished my last six years as the Managing Editor for The People-Sentinel newspaper. I wrote numerous articles for Guns.com before moving into the editorial role at GunsAmerica. I also contribute to the Beretta blog and write for Umarex. I am a multimedia freelancer who works as a videographer and editor, photographer, and writer. I have been published in local, regional, and national publications in print and digital, most notably being Outdoor Life and Field & Stream - for which I have produced a number of videos. Though I have a lot of experience hunting and fishing I have only recently started writing about my experiences, sharing knowledge and doing my utmost to promote hunting in a positive way. Currently I am admin of four Facebook pages. USA Wolf Hunting, Keep Wolves out of Colorado, Four Seconds Until Impact and Animal Attacks. Combined followers of around 8,000 with daily posts and interactions. I was invited to be an admin on USA Wolf Hunting in 2015 after Bruce Hemming had read some of the long conversations I had with wolf supporters and people that are against hunting. He liked how I had a good civil dialog with them and was impressed with some of the research I had done on wolves that promoted facts over hearsay. He wanted that on USA Wolf Hunting which at that time was called Kill the Wolves of Idaho and had 20,000 followers until Facebook shut it down. In 2017 Bruce started talking about writing a new book and he wanted less of a "in your face" style in his new book so he asked me if I would help research and write it. After over a years worth of research, writing, editing and re-editing we had our book. Four Seconds Until Impact published. Currently we have sold over five hundred books since it came out over six months ago. 10-year marketing veteran in the outdoor industry. Director of Marketing for Century Arms / Canik / US Palm / Red Army Standard. Prev: Crosman, Tink’s, Dead Down Wind, Obsession Bows, Ramcat, Trophy Taker, Rack One. I am the author of the book "Ten Rules for Finding A Good Hunting Partner" and host of the Archery Outdoorsman Podcast. I am also an Ambassador for Tioga Rise Coffee (backpacking coffee company), and Switching Camo (company that sponsors veterans on trips into the outdoors, hunting/fishing/etc). Affiliate of Mystery Ranch. I am an avid hunter, fisherman, and conservationist who has made it my mission to bring new people and veterans into the outdoors. Courtney Nicolson is a writer, producer and editor of high impact promotional campaigns for on-air, print, radio, and social media. Specializing in the outdoor industry. Taking an interest in outdoor videography at a young age, I have been able to work with and learn from numerous people allowing me to continually grow my abilities in content creation. Copyright © 2005-2017 Professional Outdoor Media Association (POMA). Images Copyright © Individual Artists and POMA. All rights reserved.